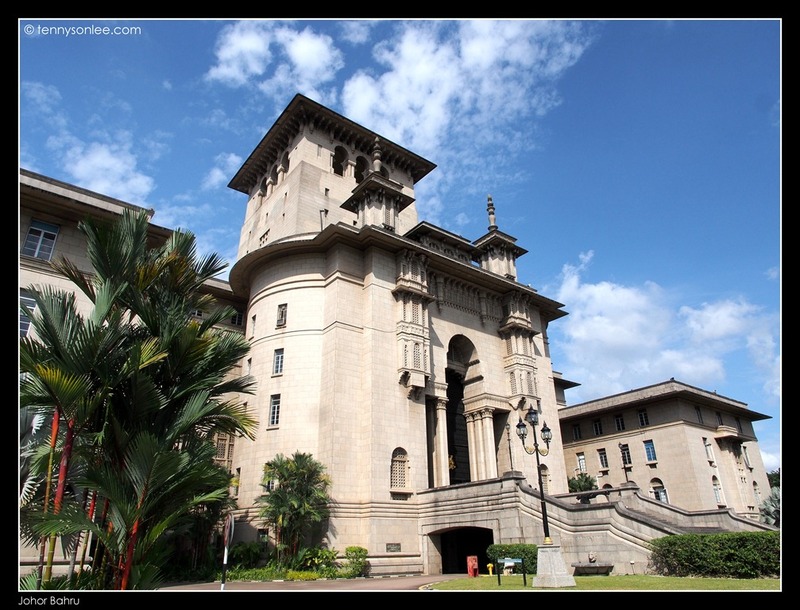 As the second largest city in Malaysia, Johor Bahru (JB) has its fair share of history and heritage to share with the visitors. I visited JB several times but did not really take time to admire some of the nice architectures around the old town area. There is an official heritage trail recommended by Tourism Malaysia but we did not follow the route. 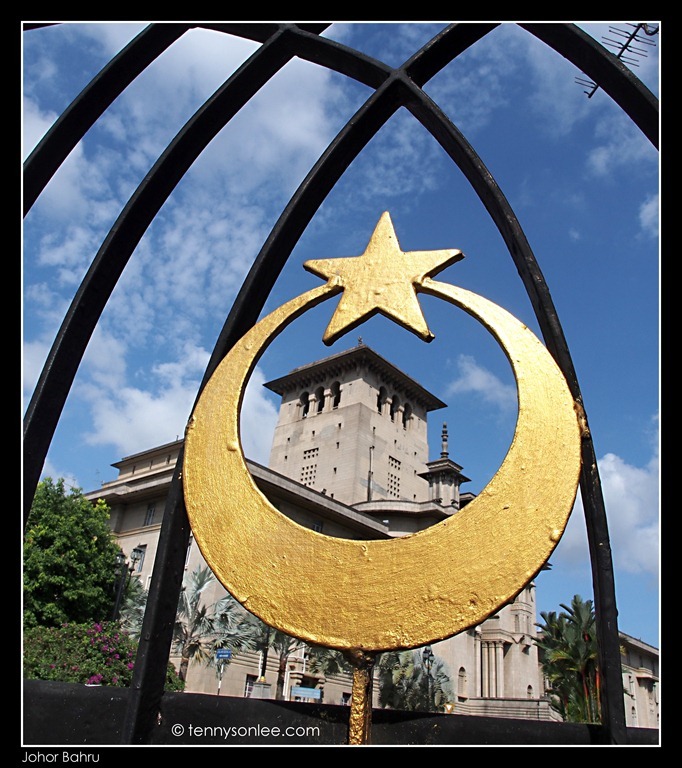 One will not miss the impressive landmark such as the Sultan Ibrahim Building. To my astonishment, this impressive building is under utilized (now serving as a warehouse for royal family collections and goods). There is a hear said that government may use this as an government office. I am not sure how much these rumours are truth. I personally would like to see this impressive building (used to be the tallest building in Malaysia until independence, since it was completed in 1940) to serve as a museum. 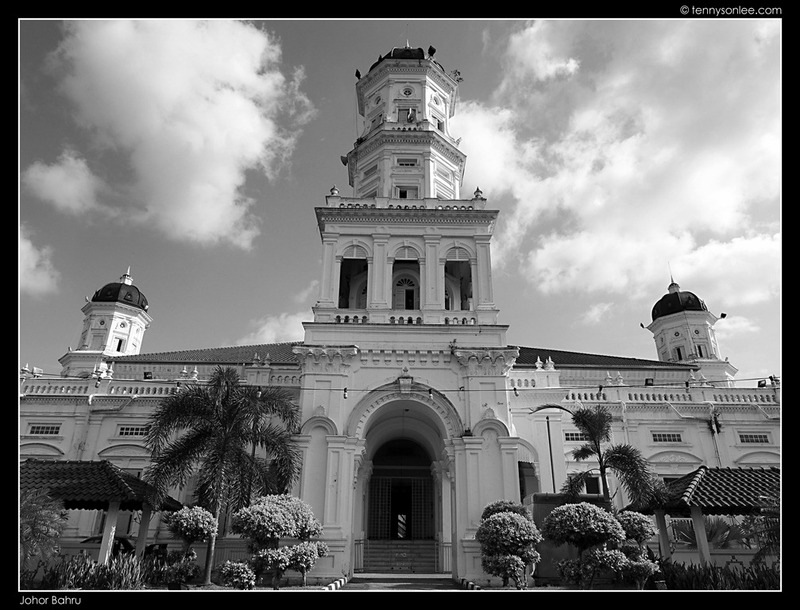 Nearby JB Zoo is the colonial style mosque situated on the hill top over looking the Straits of Johor. 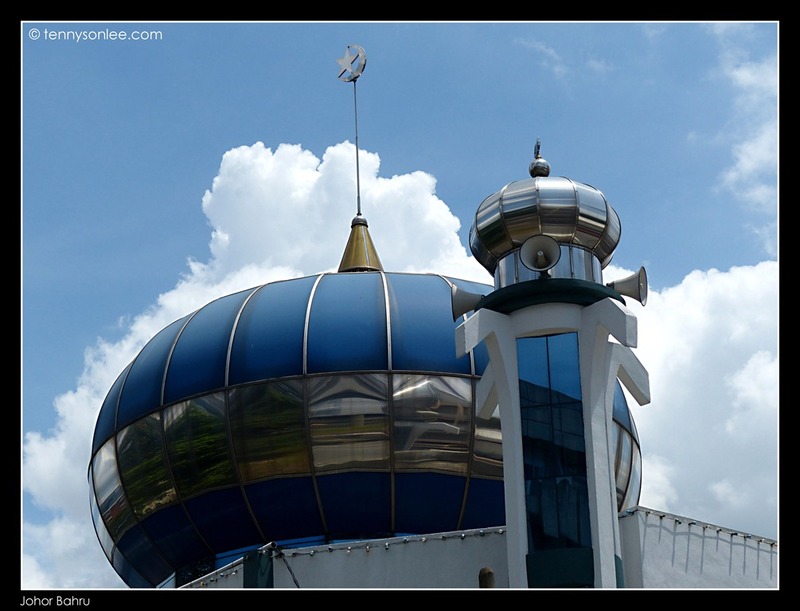 This 1900 mosque is definitely in my top ten list of must see mosques in Malaysia. 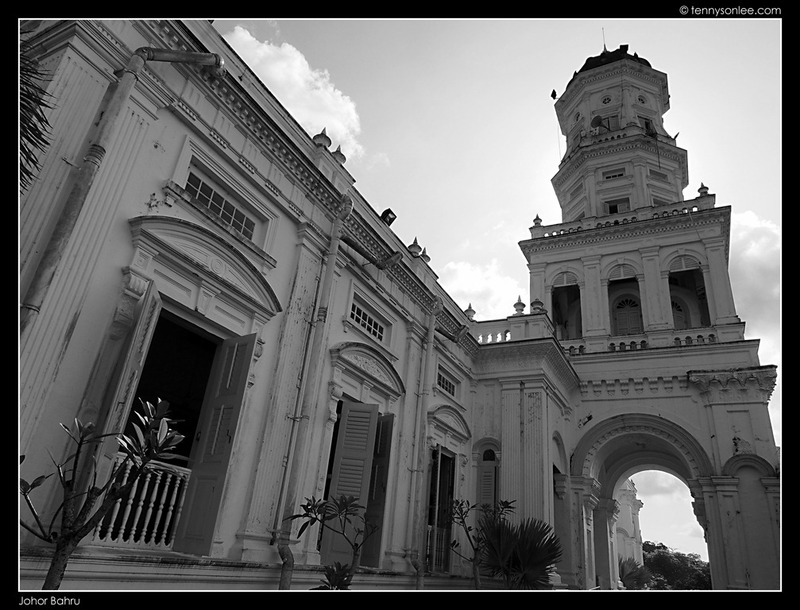 It is very different from the traditional mosque, such as Masjid India at old town. Walking down hill from the Sultan Ibrahim Building, you will be coming down along Jalan Ungku Puan. 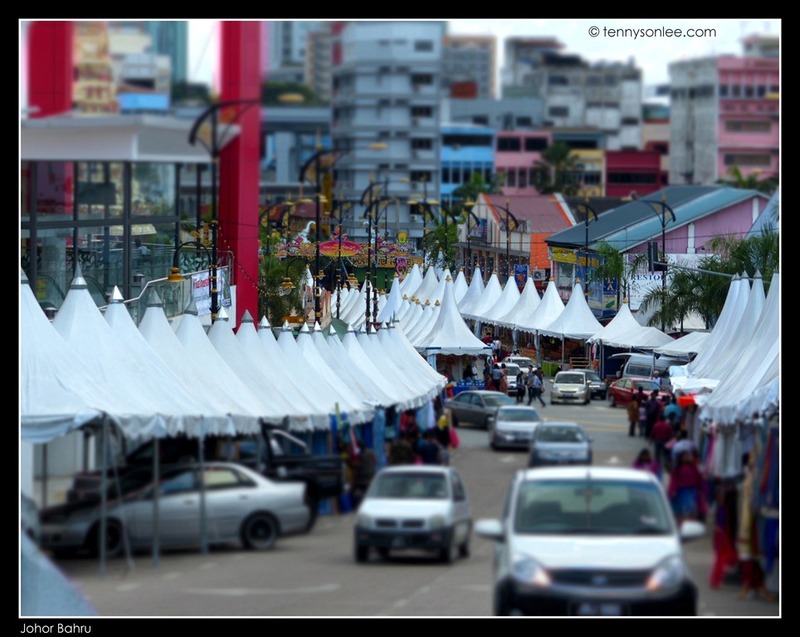 We were lucky to see the merchants setup stores to sell Deepavali festive goods and snacks. At the junction, one could see The Arulmigu Rajamariamman Devasthanam Temple, and new shopping mall opposite the road. 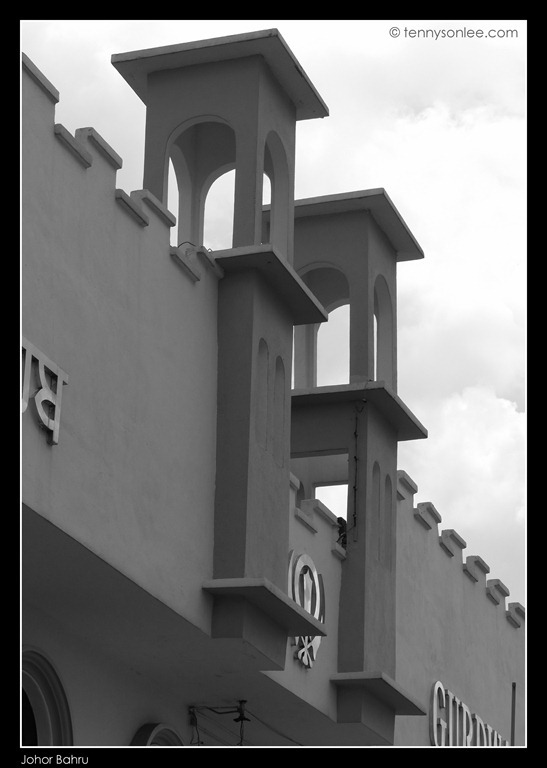 Less than a stone throw away is another old Sikh temple (Gurdwara Sahib) built in 1921. 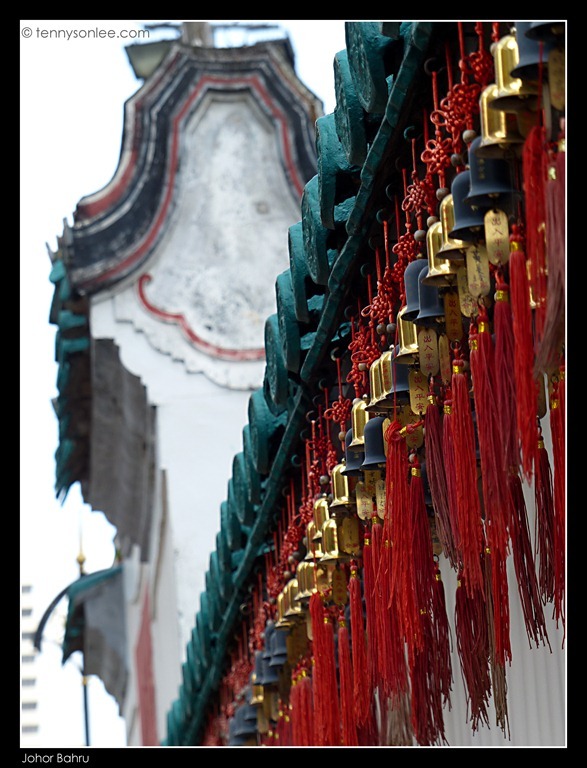 Opposite the road would be the most famous Chinese temple with annual parade in Johor Bahru, the Johor Old Chinese Temple (柔佛古庙). 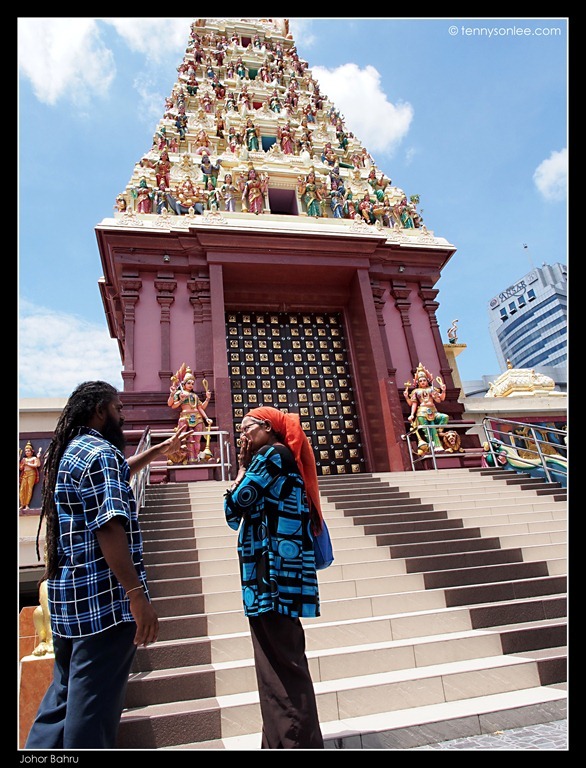 Not many Taoist or Buddhist temples in Malaysia use city as the name of the temple. I would love to witness their parade in the future. Actually I am following the typical food hunt trail instead of heritage trail. 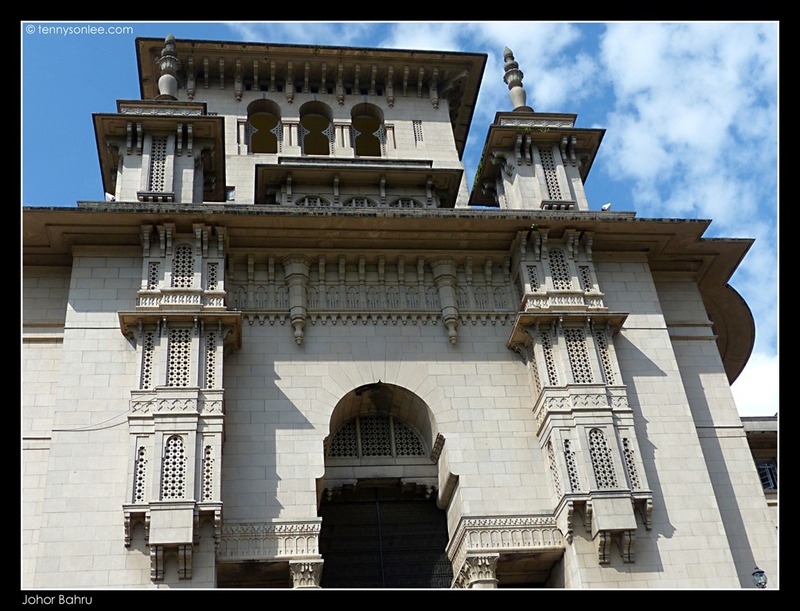 I just could not help to notice few of these nice architectures, and feel the urge to share them with you. If you are visiting JB for the first time, do spend 1-2 hours walking the heritage trail. There are more heritage sites than what I shown above. This entry was posted on October 27, 2012 by Tennyson. 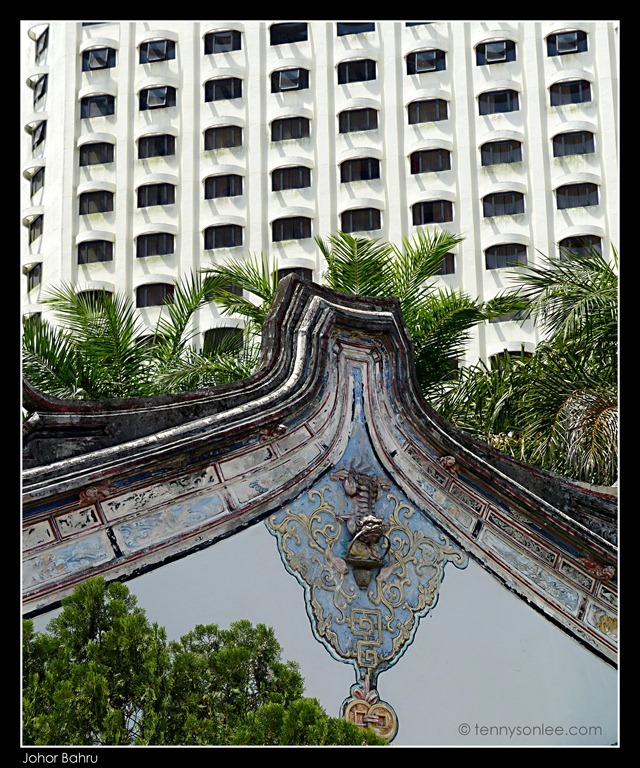 It was filed under Architecture, Genre, Street and was tagged with JB, Johor Bahru Heritage Trail.